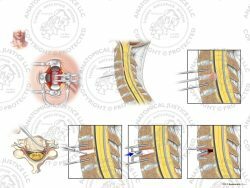 This exhibit depicts an anterior endoscopic discectomy for spinal canal decompression. The procedure begins with a transverse incision over the anterior neck, exposing C5-7. Radiopaque dye is injected into the disc spaces. 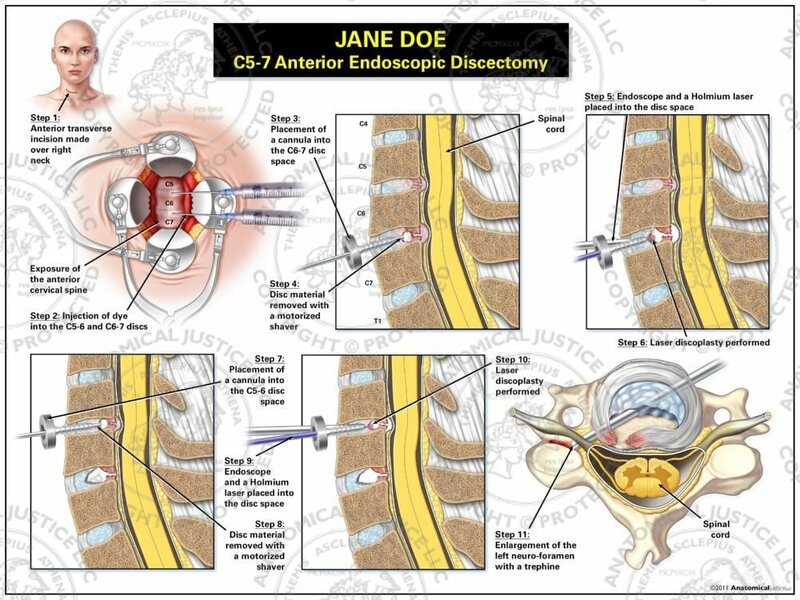 Next, an anterior cannula is inserted into the C6-7 disc space and disc material is removed with a motorized shaver. An endoscope and a holmium laser are then inserted to complete laser discoplasty. Endoscopic discectomy and discoplasty are then completed in similar fashion at C5-6. 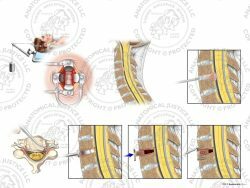 Lastly, a trephine is introduced and foraminotomies decompress the left neuro-foramen.